ACT Travel provides 24/7 support to clients. With Various type of Modern Cars & Bus, Boats, Cyclos… It is possible for ACT Travel to handle all of tour programs as customer request. 50 Guests - 100 Guests - 250 Guests or 1.000 Guests and more…You are always welcome or picked up by our private modern cars. All of ACT’s Resort & Hotel Partners from 2** to 5 ***** have guaranteed to give ACT Travel the best rate with best services. Our hotels are scrupulously inspected and chosen based on their ability to make you feel welcome and comfortable. All of our partner hotels are clean, comfortable, safe, friendly and brilliantly located. Before signing the contract with hotels we checked and enjoyed these services and standards to confirm that they are fully qualified for our customers need. Are chosen with a certain atmosphere and ambiance in mind. It may be international restaurants or local restaurants. Special requirement could be arranged. 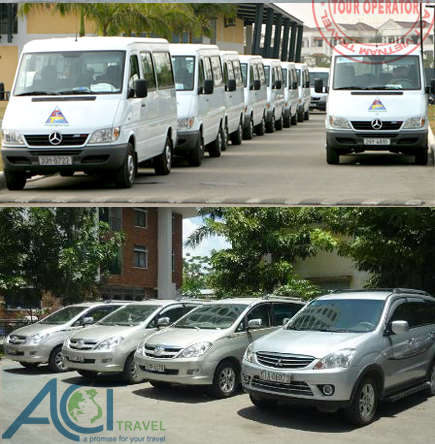 ACT Travel provides 24 x 7 hours support to its customers. Our travel consultants will be pleased to assist you in organizing your holidays.